We made it through the first week of First Grade. 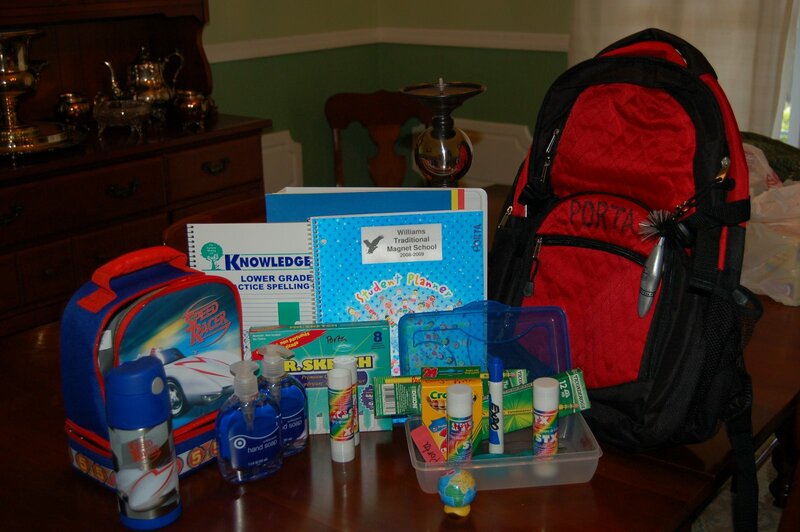 Can you believe all the ‘stuff’ they have to get for school. I am excited to see the homework folder/lesson notebook. 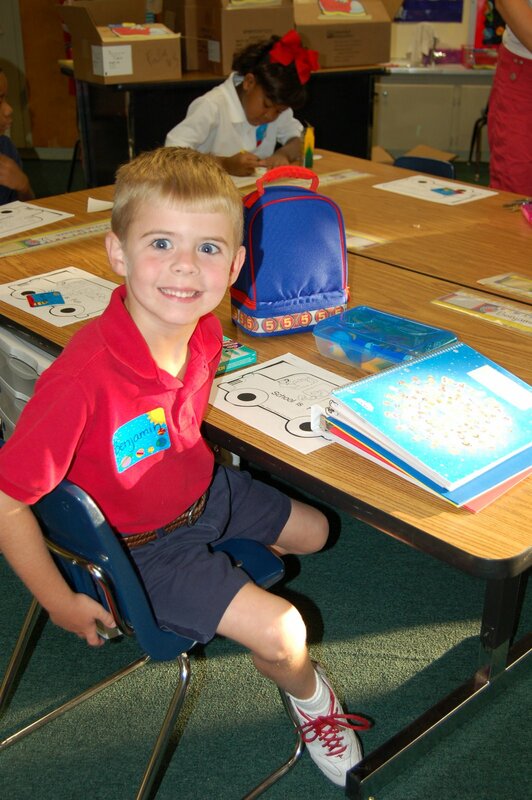 BP is excited about school. At first, he was not sure about his new teacher. He really liked Mrs. Bradberry. Mrs. Cross will be great too – once they all get adjusted. Unfortunately, since the last post, Mike’s machine has officially died. He is in the process of rebuilding the machine. Well, now, he is almost starting from scratch. Two new hard drives (one to replace the one that died and one for additional space) and new Operating System software. Ended up putting up new shelves in my scrapbook/sewing room. I had a Dr. Seuss-type set of ‘shelves’ that collapsed on Wednesday. The collapse included my scanner and an open Diet Coke. Couldn’t get to Target fast enough to get the shelves. Hopefully, now that more of my ‘stuff’ is up and visible I will use more.